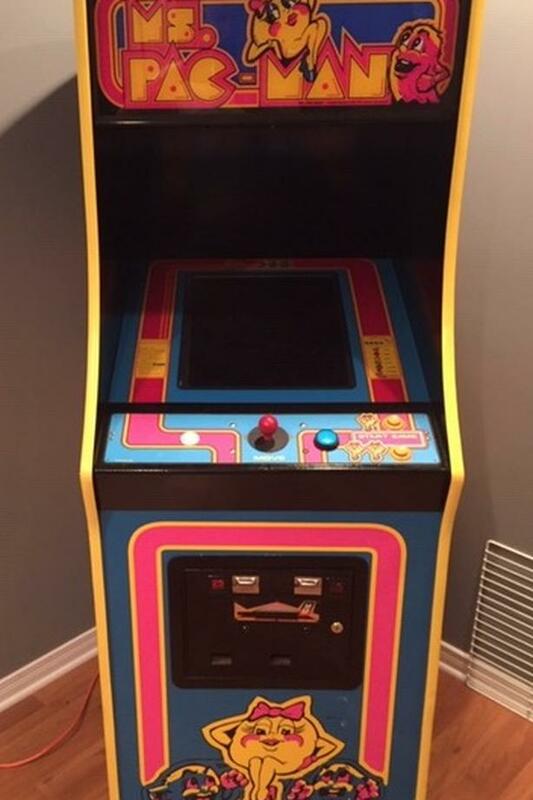 Ms PacMan game cabinet with 60 games in total (classics such as Pacman, Frogger, Millipede, Asteroids... and many many more). Works like new (but no coins needed), joystick and all control buttons function normally. Recently "serviced" by a technician who actually found that nothing needed to be done. Newly replaced 19" monitor with great screen graphics. Initially asked $2500 but have dropped price to $1750... can't let it go for any less!